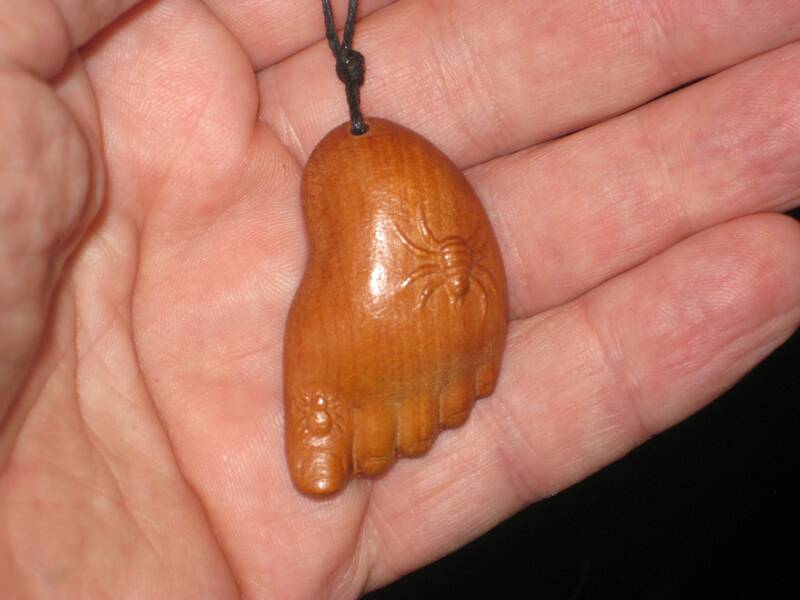 Hand carved rosewood foot with spider pendant, adjustable necklace. Hand carved rosewood foot with spider pendant. Necklace is adjustable up to 32" long if needed. I make all my jewelry myself and ship it from Canada. Comes from a smoke and pet free home, and is lead and nickel free. If you have any questions, please don't hesitate to ask. Netjes geleverd, hele fijne mooie hanger, jammer van de zwarte chinese inscripties achterop.